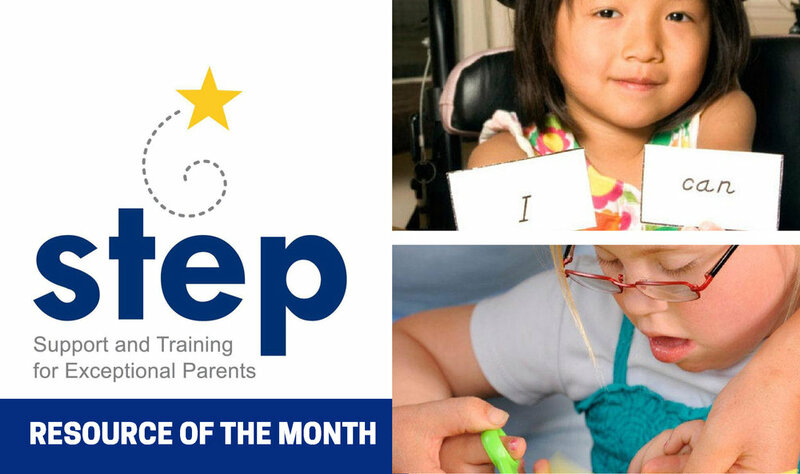 STEP, Support and Training for Exceptional Parents, strives to provide a brighter future for children with disabilities and they're our Family Resource of the Month! Improves the lives of families of children with disabilities by guiding them through challenges they face accessing education and community programs. Provides services that promote working together with school staff to resolve issues often faced by children with disabilities at school such as harassment, bullying, low expectations, and social isolation. Believes every child matters; every child should have access to an education that leads to self sufficiency, employment, and meaningful community involvement. With their services families and schools increase expectations and provide opportunities for students with disabilities to aim for high achievement standards. With their services families are able to be actively involved in navigating the special education process; research show that when parents are involved in their child’s education, children have better outcomes. A FREE STEP Training Class is coming up soon on Tuesday, July 24th, from 5-8 PM. To register, contact Connor Ladd at cladd@specialkidstn.com or 615-809-2632.